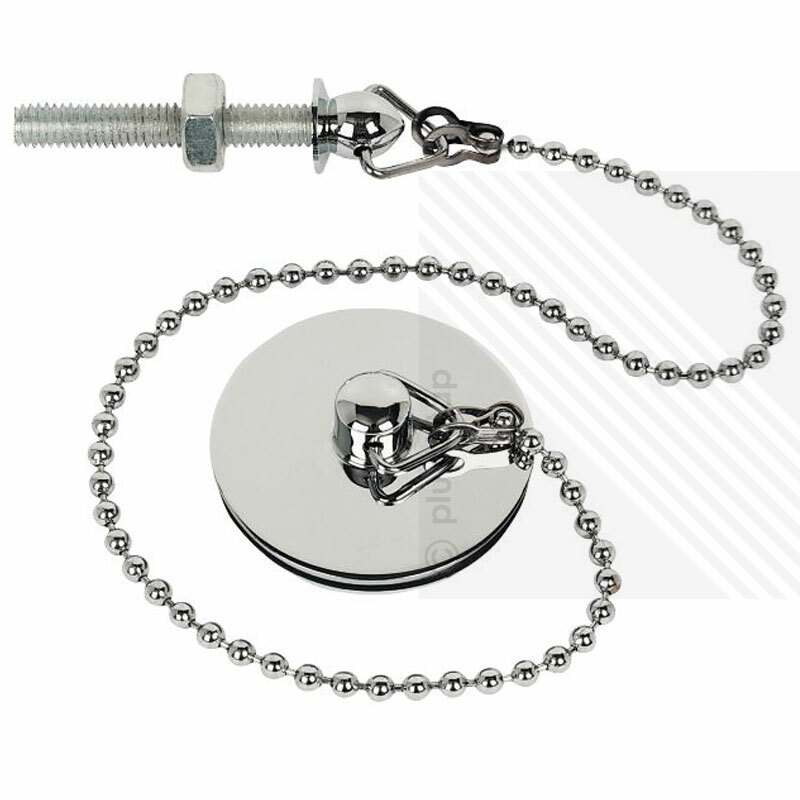 This brand new bath sink plug with a chain, and stainless steel screw, can be used as a replacement for existing plugs, or when fixing a new sink or bath. The plug is constructed of strong brass with a chrome finish, the chain is also metal chrome, and the screw is stainless steel. 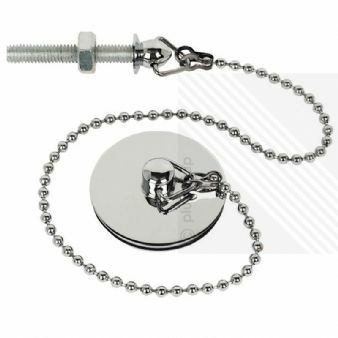 The plug chain has a contemporary intricate threaded ball design that gives the chain a long lasting strength and durability.